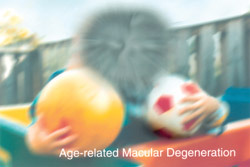 Macular degeneration is a deterioration of the macula. The macula is a small area of the retina in the back of the eye responsible for sharp, central vision. Good macular health allows you to see fine details clearly, allowing for activities such as reading and driving. When the macula does not function properly, people have difficulty with the center part of vision causing blurringThe macular vision allows people to drive, read, recognize faces, watch TV, and perform other tasks needing sharp vision straight ahead. There are two important types of age-related macular degeneration: dry and wet. The dry form, which is the most common, is characterized by gradual photoreceptor cell death in the macular area. Slow central vision loss spanning years or decades is the rule. The wet form, which is less common, is characterized by bleeding or leaking of abnormal blood vessels under the macula, which can produce a rather sudden (days to weeks) severe drop in vision. The dry form can become wet at any time. The Age-Related Eye Disease Study (AREDS) showed that certain antioxidant vitamins slow the progression of moderate to severe macular degeneration. The vitamins are Beta-Carotene (a subtype of Vit A), Vit E, Vit C, and Zinc (taken with Copper). These vitamins are frequently recommended, and be taken along with a multivitamin. If there is a past or current history of smoking, consider avoiding beta-carotene because of an increased risk of lung cancer. Consult with your doctor about which vitamins to take, since too much of certain vitamins, especially vit. E, can be harmful. It is important that patients monitor the vision daily in each eye with an Amsler Grid, which is available from your doctor. The purpose is to detect a sudden change that may be a sign of wet macular degeneration. The success of therapies for wet degeneration is proportional to how quickly it is discovered. Several therapies are available for wet macular degeneration. These include several types of laser treatments as will as injectable medicines called “VEGF inhibitors,” which tell the abnormal blood vessels to regress. Which therapy is best depends on the specific clinical situation. 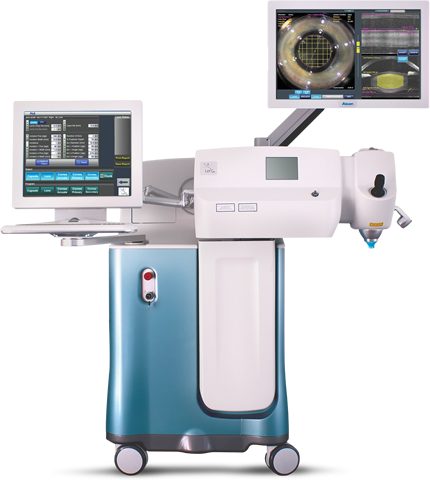 The therapies are usually administered by a retina specialist.